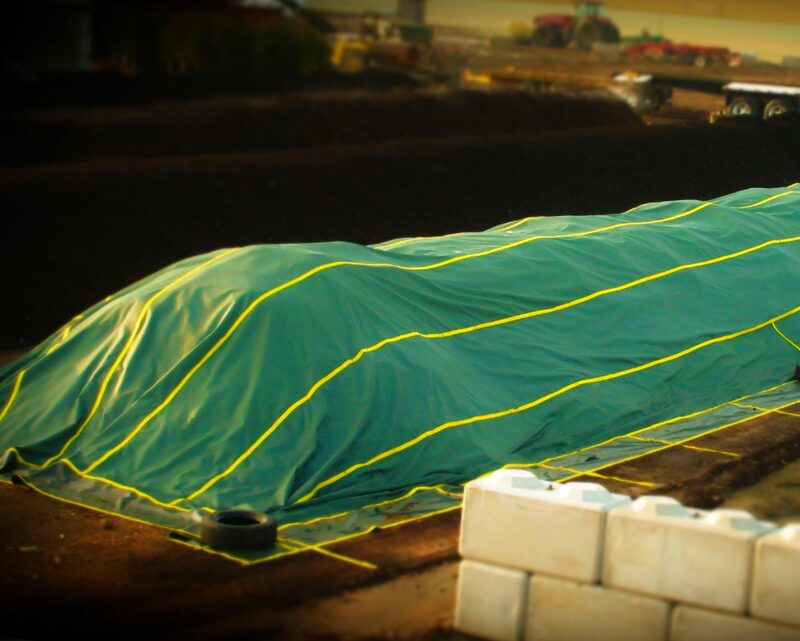 The ODOUR STOP® compost cover system is manufactured in the U.S. using only top quality materials. outside layers of the system are tough polyester fabrics that protect the inner layer (waterproof breathable membrane). The ODOUR STOP® cover material is designed allow compost facilities to operate with significantly reduced odor generation and may allow it to meet new stringent air emission restrictions. The ODOUR STOP® in-vessel aerated static pile (IASP) system is a proven composting technology capable of meeting pathogen reduction requirements, while providing significant odor and VOC reduction. 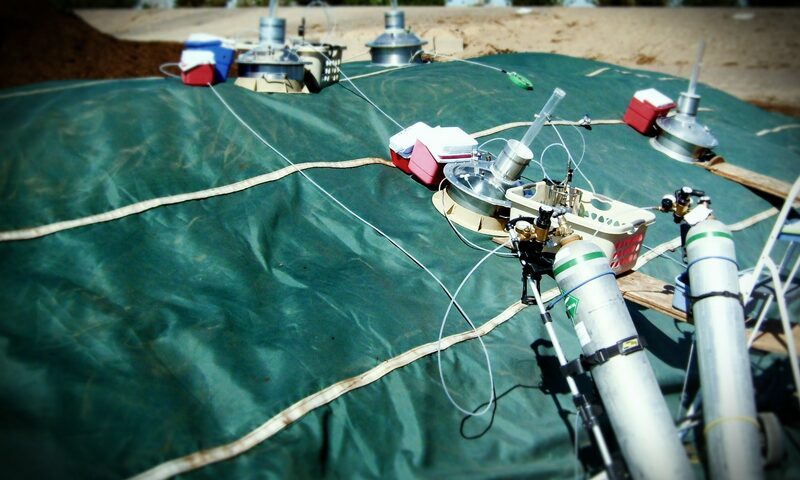 The system is available as a totally integrated system that includes the waterproof/breathable fabric covers, an aeration and blower system, temperature/oxygen sensor probes, mobile cover winder system and a computer software operating system. Facilities that have limited water supplies. regulations related to airborne particulates and VOCs. 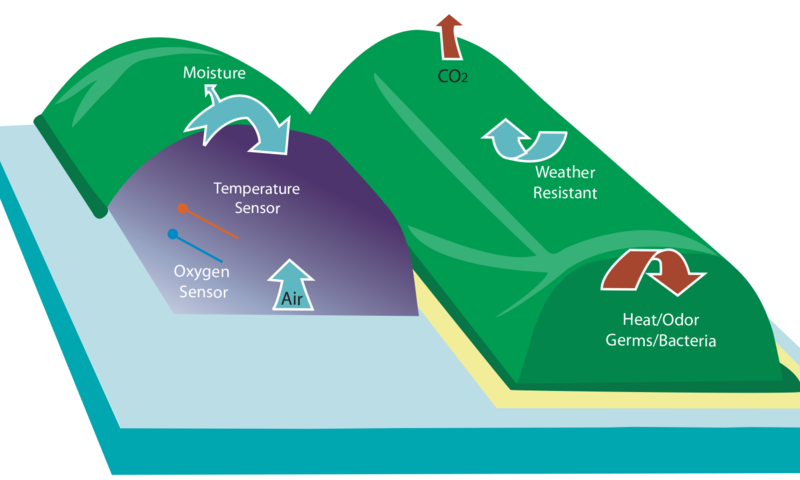 Facilities that are concerned with airborne pathogens and/or contaminants. The system is available as a totally integrated system. 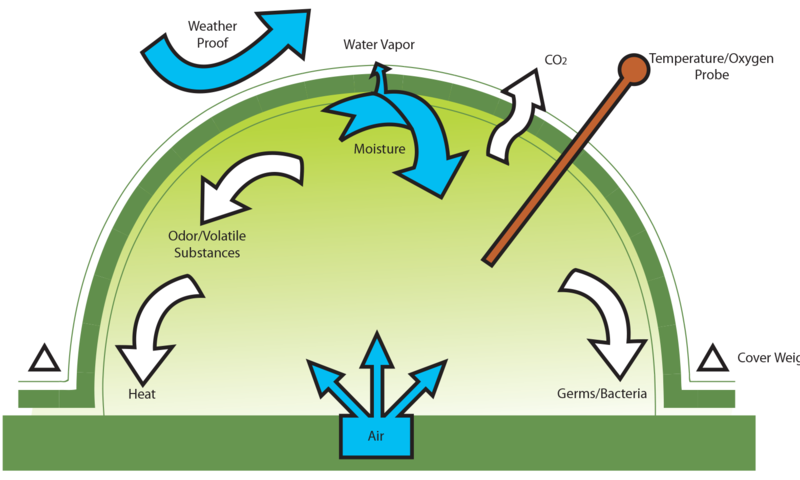 Odour Stop compost covers were developed to provide a cost-effective solution to reduce composting-related odors and air emissions. Our compost covers are made with high quality materials and professional workmanship. We offer extremely competitive pricing as compared to competitors’ prices for ePTFE micro-porous fabric covers. Due to our confidence in the materials and workmanship of our product, we offer a five-year limited warranty on the membrane and fabric.